The world today needs men and women who are honest, virtuous, selfless and compassionate and can show restraint despite extreme provocation; also who can show the path of love and have the capacity to give without yearning for returns. The basic tenets of spirituality teach us to share, to do ‘sewa’ (selfless service) and meditation, and to dedicate our life to ‘Parupkar’ (philanthropy). It advocates dismantling of all barriers and boundaries, embracing humanity and wanting ‘Sarbat Da Bhala’ (Universal Brotherhood). 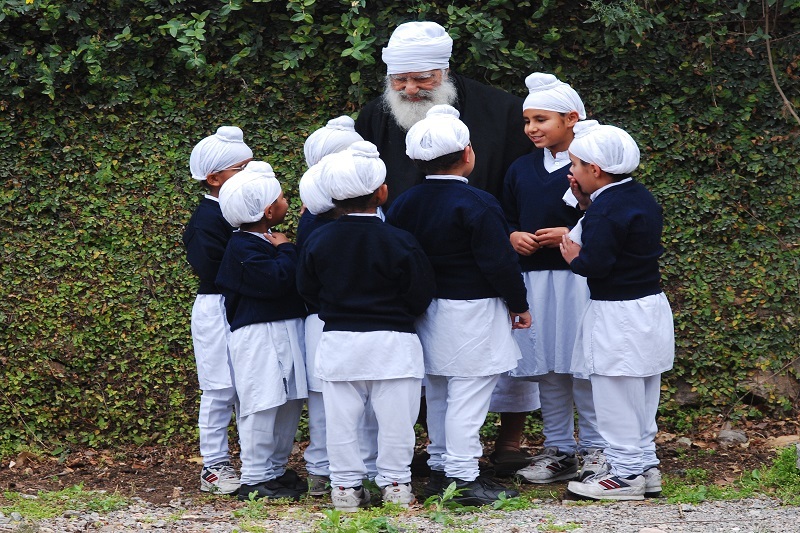 These are the principles which Guru Nanak Dev Ji enunciated more than five centuries ago and they are as relevant in the strife ridden world of today as in the past - albeit even more so.Thus Spiritual component is one of the unique feature of our education system. 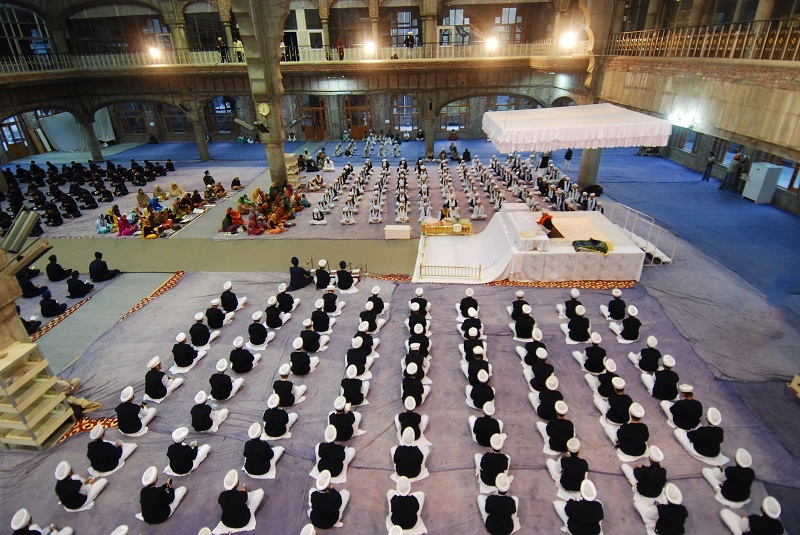 Meditation: As enshrined and stressed in teachings of Sri Guru Granth Sahib, the recitation and meditation of Divine Name and divine Hymns in ambrosial hours is the basis and motive of this human birth. Thus as per their age group, the students attend Darbar Sahib located in the campus in different time slots for daily morning prayers. They recite the divine Name and Hymns in form of spiritual congregation. Thus their day starts by having spiritual anchoring within themselves and attains blissful state of mind. Spiritual Counselling of Young Minds: Hon'ble Iqbal Singh Ji the President of the Trust has a versatile life experience both of spirituality and professionalism. The young minds as always have lot of queries about worldly and spiritual life. He shares his first-hand experience with these kids and clear their doubts. This is surely a boon for the students of Akal Academy Baru Sahib. Divinity Classroom: Apart from worldly education, divinity classes are also major component of the students. In this class the students are taught about the moral and human values and the importance of these in our daily personal and professional life. Learning of music with ancient stringed and modern musical instruments: Our students are exposed to ancient stringed musical instruments which had been part of rich ancient Indian culture and heritage. Apart from revival of these distinct instruments which were getting lost in the din of modern culture; the students are trained and exposed to modern musical instruments also. 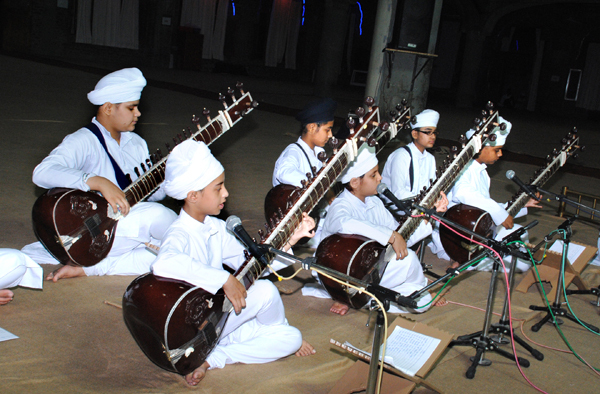 Akal Academy Baru Sahib has a fully trained musical orchestra .